Looking for a custom solid surface sill? You’re in the right place. 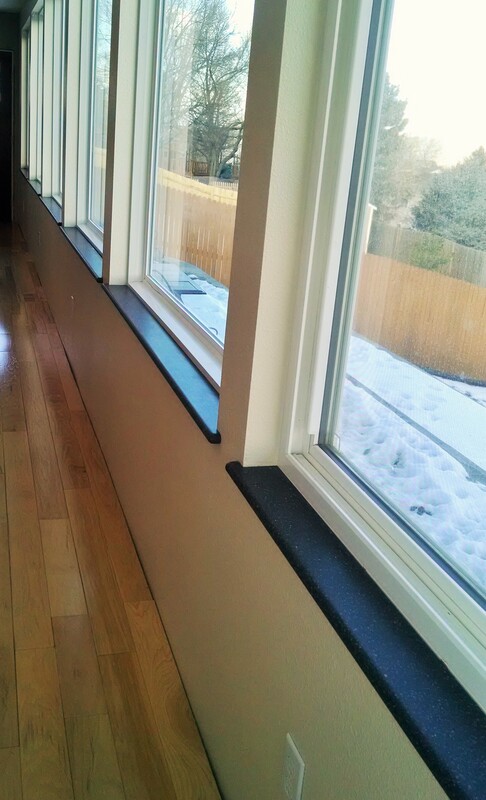 At Window Sills Direct, every order is custom cut at budget-friendly prices. We carry standard and discounted colors, and can special order any color made. 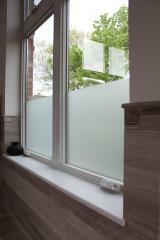 We cut sills to your lengths and depths, with your edge style. No minimum order requirement. No penalty for small orders. No full or half sheet requirements. Our interactive shop page can give you an exact quote with just a few clicks. Click on your color choice and fill in your sill dimensions. For shipping costs, load the shopping cart. In a few minutes, you’ll know what it takes to make your project a reality. Feel free to call us. A real, knowledgeable person will get you answers. Our solid surface sills are made to order from either high quality CORIAN® or HI-MACS® products. These solid surface sills look as good as granite, marble, or other stone, but are much cheaper and easier to cut and install. In addition, CORIAN® or HI-MACS® sills have tremendous advantages over wood or vinyl sills. Whether you’re looking for an attractive, low-maintenance and durable sill in a shower, bathroom, or kitchen, or for good-looking, contemporary sills to go with your interior décor, we can provide a sill to suit.